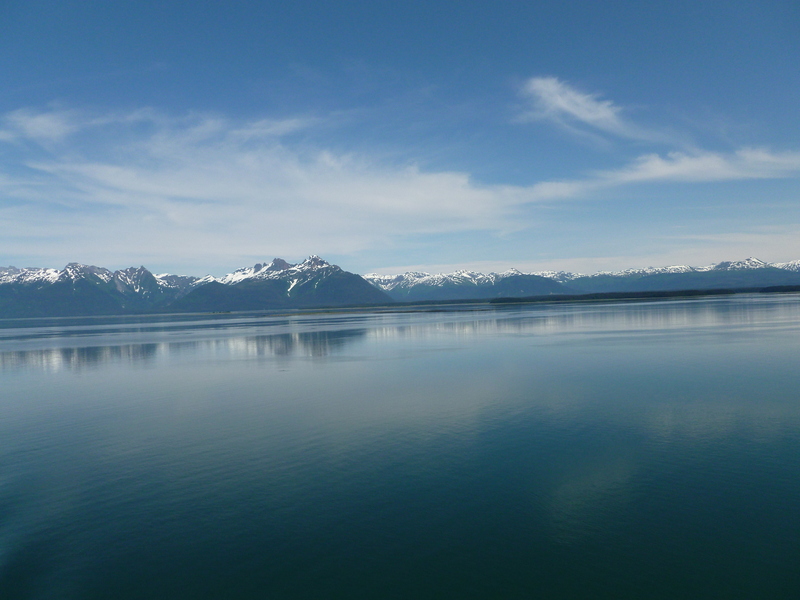 One of our days at sea was through Glacier Bay. 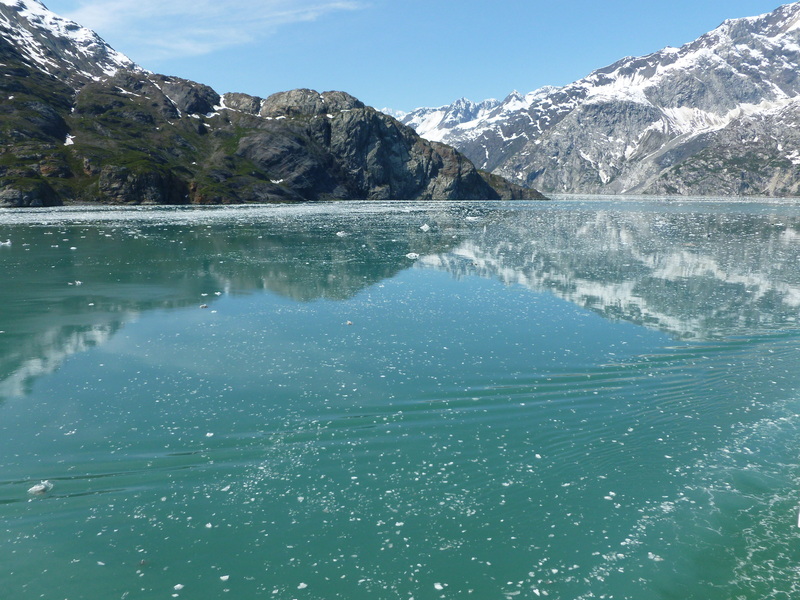 The Bay is at the heart of Glacier Bay National Park and is home to a number of glaciers including several tidewater glaciers (where the glacier meets the ocean). The tour of the bay was narrated by rangers from the National Park. 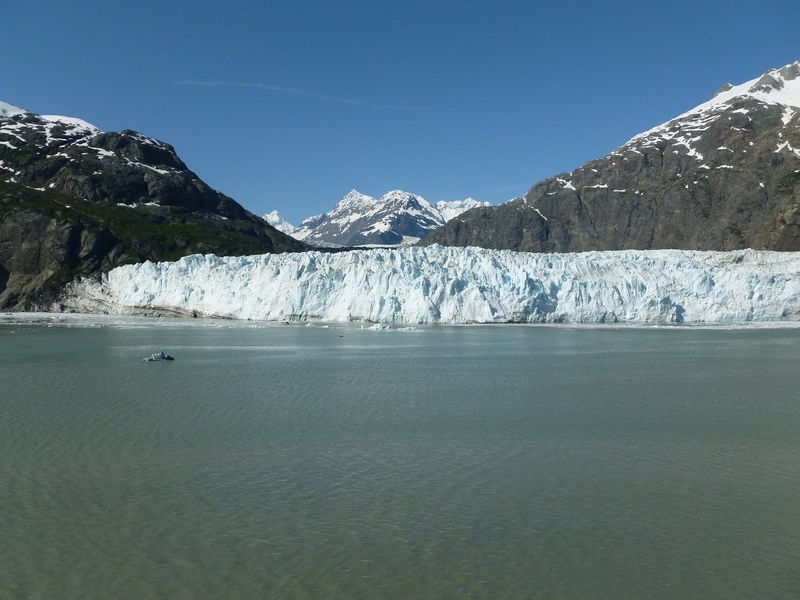 One of the most famous glaciers is Margerie Glacier. 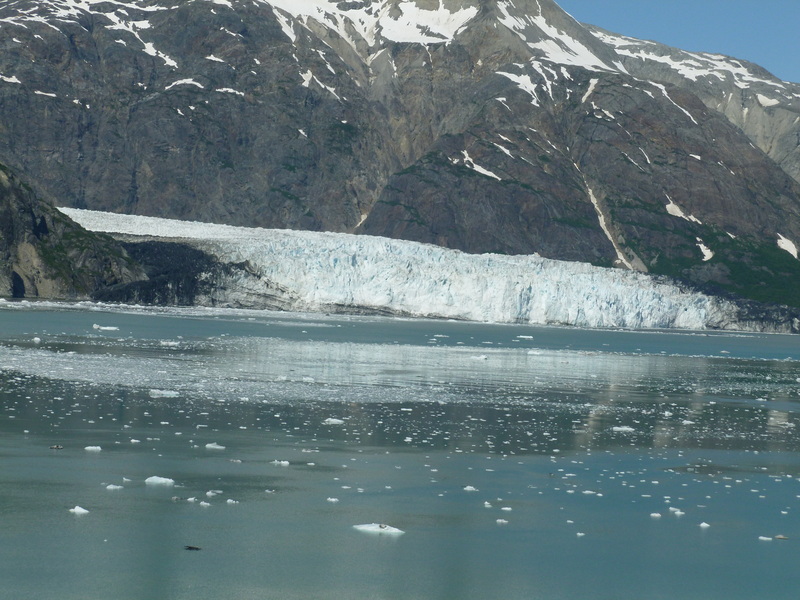 Over a mile wide, the glacier is actively dropping ice off of it’s face. When it lands in the water it sounds like thunder. Watch the video. 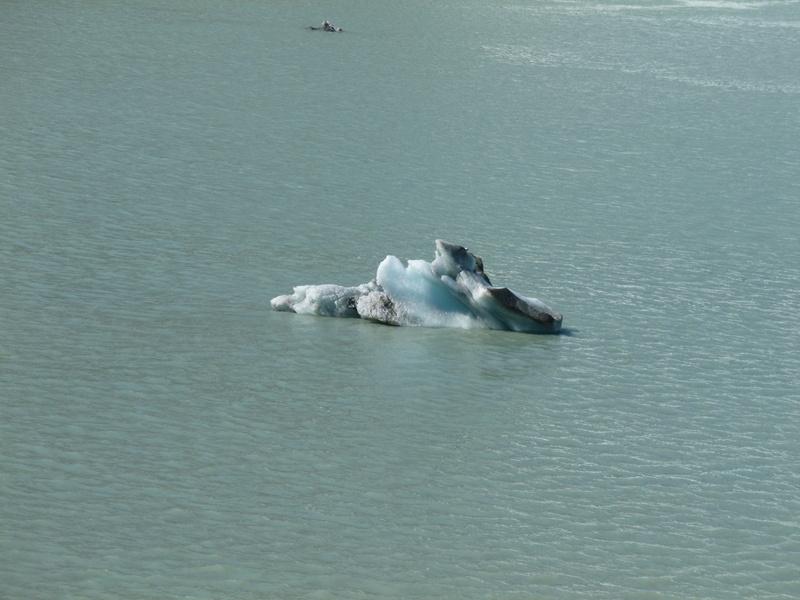 The chunks of ice floating in the water have a wide variety of shapes and sizes. Because they are formed over hundreds of years, the color is determined by the minerals captured during the formation process. 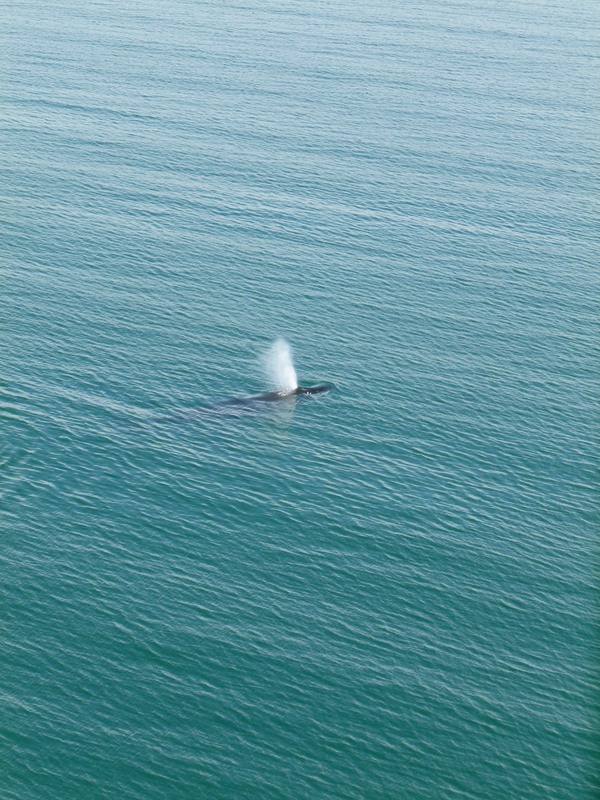 As we were exiting Glacier Bay we were greeted by a humpback whale.